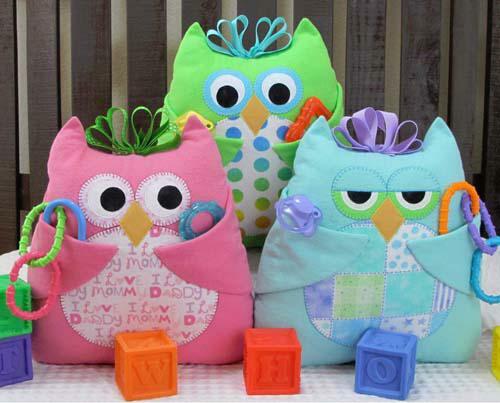 Uses soft fabrics to make a cuddly pillow or toy for all your little ones Who's wings will hold binkys, hide a tooth for the Tooth Fairy, and carry other treasures. Supereasy with a variety of eye styles, you can make lots of Whos to keep baby company Quick, easy and cute Finished size: 12" x 12". Available: 9262012.